Blockchain: A CEO's Perspective On Distributed Ledger Technology! As per World Economic Forum, in less than a decade, 10% of the global GDP will be in the form of blockchain data structures. The Distributed Ledger Technology or DLT is a decentralised database of shared, replicated and synchronised set of digital data structures spread across multiple networks in multiple geographies. A distributed ledger design is free of geographical restrictions or institutions and can be spread across multiple sites. It is a peer to peer technology and does not require a central storage. The technology employs consensus algorithms to ensure that replication of data happens across all nodes. One of the most popular forms of distributed ledger system is the ‘Blockchain’. It is one of the types of distributed ledger technology that can exist in a public or a private set up. It is believed that this technology will provide banking systems with a way to avoid operational redundancies and security risks, in addition, to be a cost-saving measure. That is why many banks are investing heavily in distributed ledger systems. Bitcoin is already a popular use case for distributed ledger systems. This disruptive technology embeds trust digitally into a transaction. Accenture’s 2016 report on the acceptance of Blockchain technology claims that 83% of top executives believe that trust is the base of the digital economy. The report by Accenture urges CEOs to consider the impact of a blockchain in the areas of strategy, customer service and operations with respect to both opportunities and threats. Thereafter, they should also develop prototypes and invest in start-ups who are building industry-specific solutions. As a matter of fact, CEOs of big corporations like Citibank, Intel and Phillips have already initiated experimentations with DLT. While there is excitement in the air, some CEOs are cautious. The CEO of US Depository Trust and Clearing Corporation (DTCC) Mike Bodson believes that it is too early for technologies like DLT to be of much use. 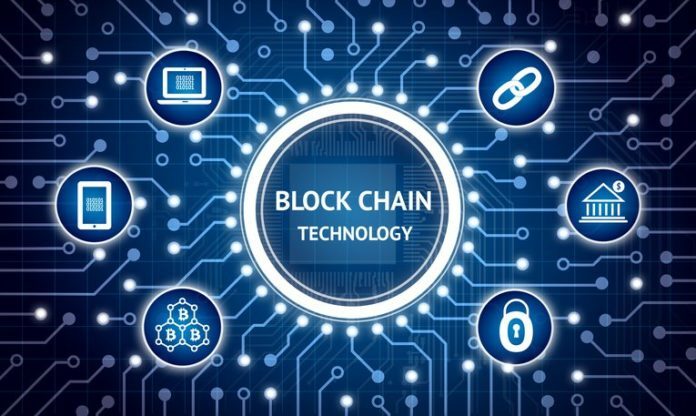 He has claimed that many of the Distributed Ledger Solution providers are, in fact, working along-side organizations like DTCC to manage these solutions. This contrasts with the belief that DLT solutions will put current organizations who deal with post-trade transactions, out of business. In fact, he stresses that DLT’s newer role could be in expediting the processing time and achieving greatness in the scale of existing post-trade transactions rather than replacing them. He adds that the technology currently is not adept at matching the quantum of transactions taking place today in US capital markets. However, there is optimism among several executives. CEOs of organizations like Australian Securities Exchange are making the move by replacing existing systems with Digital Asset’s blockchain platform. JP Morgan Chase’s CEO Jamie Dimon has informed that his organization will reduce global transaction time from weeks to a matter of hours through its new blockchain based system as it will reduce the number of parties needed to verify transactions. Anthony Jenkins, ex- Barclays CEO says that DLT will transform banking since it does not need a central counterparty to manage transactions. Distributed Ledger Technology is one of the most promising current technologies. It stands alongside Artificial Intelligence and Big Data as one of the most exciting technologies of recent times by providing secure and authenticated access to data. In doing so, it helps somewhat in answering one of the most critical aspects of financial systems i.e. trust. About the Author: This article is contributed by Amit Dua – Co-Founder & CEO at Signity Solutions and ValueAppz. "Blockchain: A CEO's Perspective On Distributed Ledger Technology! ", 5 out of 5 based on 3 ratings. BSNL’s Loot Lo Offer Is Back With 60% Discount; Grabs Rs 25K Cr Govt Project! Railway Stations Will Have Special ‘Selfie Points’, Better Upgraded Services!